Enjoy a Romatic break at Wineport Lodge! 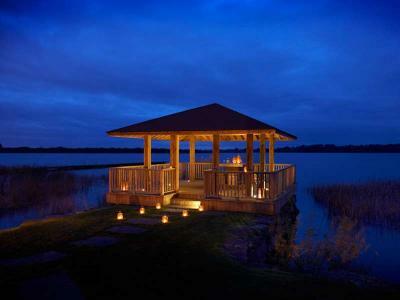 Slip away to our quiet & peaceful lakeside setting.Unwind in our lounge overlooking the spectacular lake views. Indulge with breakfast in bed with the morning paper. Savour our delicious food and friendly service in our famous restaurant on an evening of your choice. Complete your pampering with an hours treatment each in our Treatment Suite followed by a dip in our hot tub. An intimate overnight escape - Enjoy the view, enjoy time with each other. One night stay in a deluxe lakeview room with your own private balcony. A chilled bottle of bubbly and delicious handmade chocolate truffles in your room and a lazy breakfast to enjoy together in bed the next morning. Take a dip in the hot tub too! A luxurious two night break in a spacious lakeview suite. Our Deluxe Lakeview Suites are located in some of the best locations at the Lodge. 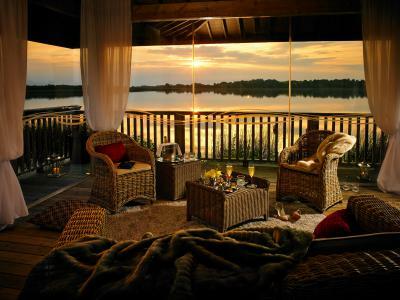 All have spacious balconies with superb lake views, facing into the setting sun. To enhance the romance, a bottle of Bollinger champagne, bouquet of red roses & chocolate dipped strawberries will be in your suite on arrival. Savour a romantic dinner for two in the restaurant on an evening of your choice & lazy breakfast in bed on each morning. And it goes without saying - we would be delighted to assist with any preparations for your romantic proposal. Treat yourselves to a night away before the special arrival - Take some time to enjoy each other’s company... uninterrupted! 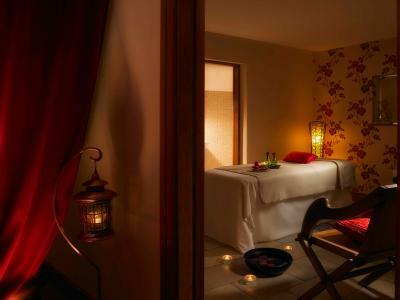 A 60 minute maternity massage specifically designed for mum to be will ease the tensions away. Overnight accommodation in one of our luxurious rooms & breakfast the next morning to your room or in the restaurant.